Something amazing is happening in Denmark; The left-leaning Radio Denmark will now be required to stress the importance of Christianity for Danish culture. I want to give a big shout out to one of our friend from Denmark, David Eggers, for sending me this information. A few months back we reported that Denmark was going through a very real political paradigm shift. If I recall correctly, David is also the one who alerted us to this. Reports have been coming out now that even the traditionally left-wing parties in Denmark are turning towards the right when it comes to immigration. In fact, the Social Democrats in Denmark have already declared that they will not form a coalition with any other leftist party in Denmark. The Social Democrats are traditionally the center-left party, they’re currently the largest single party in the Danish parliament, but the rightwing coalition holds the overall majority. And for the past 25 years, the Social Democrats have caucused with the other leftwing parties in Denmark, but no longer; that is because they have turned to the nationalist right when it comes to immigration. They have officially changed their political platform, advocating border security and very tight immigration controls. Now we have some more good news. The Danish left-leaning public media conglomerate known as Radio Denmark, basically the Danish equivalent of the BBC or the American NPR, they are going through a massive overhaul directed by the Danish Ministry of Culture. It was just announced on Tuesday that the Ministry of Culture has issued a new contract with the DR or Radio Denmark which involves some pretty significant budget cuts, it looks like there can be as many as 400 layoffs and job losses, but what has really caught everyone’s attention is that there is, according to the contract, a significant shift in the cultural paradigm of the broadcast’s programming. From now on, the DR is going to be presenting cultural programming that makes clear that Danish society is based on principles of democracy that have their roots in Christianity. 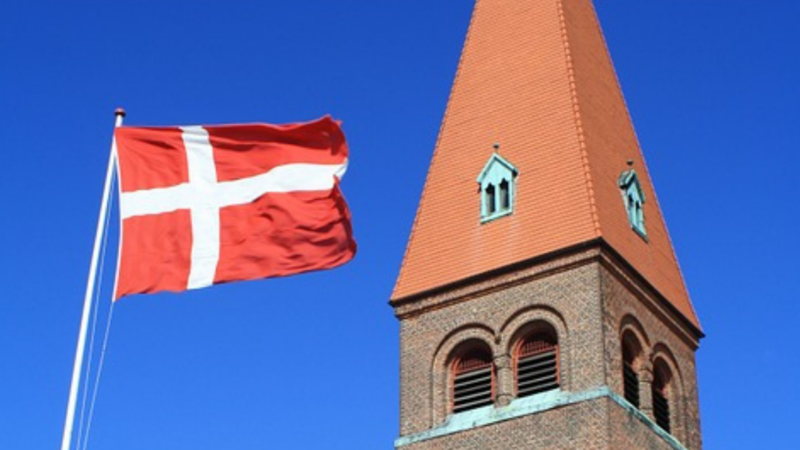 In terms of all of Radio Denmark’s programing and platforms, it must be clear that Danish society is based on the people’s rule and rooted in Christianity. Up to this point, the contract with the Danish government had a rather vague statement that Radio Denmark would work for the promotion of integration in Danish society. They would seek to promote the notion of integration in Danish society. Well, we all know what vague terms can result in when globalists are allowed to create the definitions. We are all integrated means that Denmark is a multicultural society with no one single culture. Well, that vague notion of ‘integration’ has been removed and replaced instead with an explicit statement that Denmark is a national community built on the values of democracy, equality and free speech, rooted in Christian civilization. The wording in this agreement is coming from members of the anti-immigration Danish People’s Party. If you are not familiar with the Danish People’s Party, or the Dansk Folkeparti, the DF, they are the nationalist populist party of Denmark; they are the second-most popular party in the nation and at the center of the rightwing coalition there. The Danish People’s Party is one of the single most successful rightwing parties in Europe, they have been able to really shape domestic policy in Denmark, which of course includes a very strict border security policy. But their success has gone beyond I think anything any of us could ever have imagined up to a few years ago, as we are seeing with the shift towards the nationalist right in terms of even leftwing parties in Denmark. A representative of the Danish People’s Party has said that this tightening up of the wording in the previous contract, this attempt at making the contract far more culturally explicit, was initiated by efforts to recover Denmark’s classical and Christian legacy. With the nationalist right party in charge, as part of this governing coalition, the Christian cultural heritage of Denmark is now going to be celebrated and defended. Now, the nationalist right sees the recovery of Christian civilization as an indispensable bulwark, a powerful and effective defense against the onslaught of Islamization resulted from the massive unfettered immigration over the last several years. At this point in Denmark, just over five percent of the population is Muslim according to 2017 statistics. However, this is just the beginning; demographers have concluded that third-world immigrants and their descendants will constitute the majority of the Danish population by the end of the century, a significant number of that population is estimated to be Muslim. The nationalist right in Denmark recognizes that simply closing the border is not enough. In order to counter the rise in third world population within their borders, Danes are going to have to recover their culture, customs, and traditions, at the heart of which is Christianity and the Christian conception of the family. This of course is precisely what Hungary, Poland, Georgia, and Russia have been doing; in recovering the concept of the conservative Christian family, these nations have begun to effectively reverse their population and fertility decline that have plagued their nations for the last several decades. And it appears that the nationalist right in Denmark is getting serious about recovering precisely that Christian tradition. Denmark has been instituting laws that highly regulate heavily Muslim enclaves known as ghettos, where they are forcing the children of these Muslims to learn about Danish values which include Christian traditions like Christmas and Easter. Now, of course, a lot of people are very, very nervous about this because they see it as a violation of the freedom of religion. While I certainly understand that, but what such detractors do not get and I think Denmark rightly understands, in my opinion, is that you cannot separate religion from the culture of a nation, And that is simply because religion is the CULT of culture. Culture always involves some ultimate ideal, and that ultimate ideal is going to be absolute and unquestionable. There is going to be a sense that if we do not have this ultimate ideal, then we as a culture will simply cease to exist. And so, you certainly can practice your religion as you wish within Danish society, but you are going to have to do so as a Danish citizen, which means that you are going to have to be a respecter of the identity-distinctives that make up Danish culture. And Danish culture is rooted in the Christian tradition, and therefore you are going to need to know something about and appreciate that tradition. That is what is going on in Denmark right now, and for some, this is uncomfortable because they see religion as something personal and private. But the nationalist right is more and more realizing that such a view or perspective, however well meaning, is in fact allowing multicultural globalism to redefine and indeed ultimately erase Danish culture. And so, we will certainly be keeping our eyes on how things develop here in Denmark, but there seems to be no question that when it comes to revitalizing and protecting and defending a nation’s culture and the Christian traditions upon which such culture stands. Denmark is leading the way.